As a firm of Canadian immigration consultants in Vancouver, the team at Racer Immigration knows that many of the people who come to Canada looking for work are also interested in pathways to permanent residence. This month, we’re happy to share news about a new three-year immigration pilot program, designed to support the growth of Canada’s agri-food sector. This ambitious pilot program is supported by the Canadian Meat Council (CMC), which has been requesting 2,750 immigration spots to fill meat packers, meat processors and equipment supplier positions. Many of these positions have been long overlooked by Canadian workers, although these jobs are part of an important process to meet a growing demand for food made and manufactured in Canada. According to Industry Canada’s Agri-Food Economic Strategy Table 2018 report, there is a great need to address in terms of labour shortages in the agriculture sector, and utilizing Canada’s permanent immigration and temporary foreign worker programs will help attract skilled workers across various skill levels. Although details of the pilot program have yet to be fleshed out and delivered by the federal government’s immigration division, Immigration, Refugees and Citizenship Canada (IRCC), this program could represent an excellent opportunity for people who want to work and live in Canada. Racer Immigration Consultants in Vancouver can provide advice about permanent residency and other possible options. 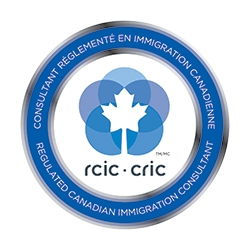 Visit the Canadian Immigration Consultants of Racer Immigration at http://racerimmigration.com/ or schedule a consultation at (778) 688-4848 to learn more. As an Immigration Consultant in Vancouver, Racer Immigration knows that most economic immigration programs require applicants to have qualifying work experience. As proof, applicants are required to provide references letters from employers. But how immigration officers view such letters and determine eligibility requirements is an important step that requires serious consideration. When determining if the experience listed on a reference letter qualifies, Immigration, Refugees and Citizenship Canada uses the National Occupational Classification system (NOC). For example, federal skilled workers need to have at least one year of full-time experience in their primary occupation (or the equivalent of part-time) in the last ten years before they apply. In the Canadian experience class, they need to have at least one year of full-time experience in one or more occupations listed on the NOC website in the three years before they applied for permanent residence. Reference letters should clearly state all duties, as this is how occupations are assessed. Applicants should provide a copy of the NOC to their employers since the website contains duties/tasks/skiils some employers might not think to mention. It is important that employers should not copy/paste from the NOC website, as this leads to credibility concerns. No one should fail their immigration application because of an insufficient reference letter. As an Immigration Consultant in Vancouver, Racer Immigration is happy to advise those undertaking the process. To learn more about different economic immigration programs and their requirements, contact Racer Immigration at (778) 688-4848 or visit http://racerimmigration.com/. As Canadian immigration consultants in Vancouver, the team at Racer Immigration is pleased to report that Nova Scotia approved a record number of immigration applications in 2018, and is on track to welcome more new permanent residents than ever before. Nova Scotia’s Office of Immigration reported that a total of 5,225 newcomers settled in the province between January 1 and October 31, 2018, and that has most likely surpassed 2016’s record of 5,485 landings by the end of the year. In addition, the province accepted 2,272 applications through its immigration programs this year. The streams from which these candidates were chosen included those tied to Canada’s federal Express Entry system. Nova Scotia’s three Express Entry-linked streams—Nova Scotia Demand, Nova Scotia Experience and Labour Market Priorities—allow the province to invite eligible candidates to apply for permanent residence. For those hoping to move to Nova Scotia, or elsewhere in Canada, Racer Immigration can provide advice about options and programs designed to bring different immigrants to Canada. Visit the Canadian Immigration Consultants of Racer Immigration at http://racerimmigration.com/ or contact (778) 688-4848 to learn more. As a firm of registered immigration consultants in Vancouver, the team at Racer Immigration has exciting news for prospective Canadians. A new immigration pathway, the Career Employment Pathway, is now open to those who graduate from post-secondary institutions in Manitoba. Candidates have to be living in Manitoba at the time they submit their Expression of Interest (EOI) and have graduated from a full-time program of at least one year or two semesters in length. In addition,they must have a full-time job offer in a field that’s considered in demand in the province and is consistent with their education, or complete a bridging program and pass the initial stage of certification as determined by the regulatory body. The Expression of Intent is not in itself an application, but a way for prospective immigrants to let the Manitoba Provincial Nominee Program (MPNP) know they wish to be considered for permanent residence under one of the various immigration pathways. Other pathways include the International Student Entrepreneur Pathway and Graduate Internship Pathway, which were announced last November. Candidates have to answer questions online regarding, among other things, their education, work experience, and language proficiency. These are then scored, and a number of the highest-scoring candidates are issued with Letters of Advice to Apply. The MPNP says it may impose program or occupation-specific limits when issuing LAAs for the Career Employment Pathway, but by adding this new pathway, new options and opportunities have been provided to prospective immigrants. As a group of Immigration Consultants in Vancouver, the team at Racer Immigration is happy to advise those who wish to work and stay in Canada after finishing their education. Contact Racer Immigration at (778) 688-4848 to learn more, or visit http://racerimmigration.com/. As a firm that provides Immigration Consulting Services in Vancouver, the team at Racer Immigration warns that one of the biggest mistakes prospective Canadians can make is waiting until their application has been refused to seek out professional help. Navigating a refusal is always more work as it requires understanding the reason for refusal and answering these concerns when reapplying. Moreover, it’s important to realize that multiple attempts made in a short period can reduce the chances of getting to yes. While it’s always best to work with a skilled Canadian immigration consultant or lawyer from the start, steps can be taken if an application is refused. When someone receives a general refusal, and they do not understand the concerns of the visa officer, they should hold off on submitting another application. It’s vital to obtain the notes of the officer who refused the application and prepare a thoughtful answer in subsequent forms. To get these notes, an applicant must request the Global Case Management System or “GCMS” notes in their file. These will provide insight into the immigration officer’s concerns. Reapplying is an opportunity to provide more information and strengthen your application. The new application should be consistent with the old one, but remember that the case will likely be looked at by a different officer—and it should stand on its own. A reputable Canadian immigration consultant can investigate a rejection and explain your case in detail. To learn more about working with Racer Immigration, please call (778) 688-4848. The Canadian government recently announced the 100th Express Entry draw, inviting 400 candidates from the Federal Skilled Trades program to immigrate to Canada with their families. As a Vancouver-based immigration firm, the team at Racer Immigration is always on the lookout for exciting opportunities for people hoping to immigrate to Canada. Express Entry isn’t a program, but a system meant to manage the intake and processing of applications within three existing programs: Federal Skilled Worker (FSW), Canadian Experience Class (CEC), and Federal Skilled Trades (FST). Since Canadian immigration prioritizes skilled workers, the vast majority of skilled worker immigrants come through the Express Entry system. Canada once used a first-come-first-served basis for processing applications. This resulted in slow processing times and huge backlogs. It could take some applicants years of waiting for their status to be processed. Express Entry was meant to fix these problems and streamline the process. Express Entry uses an electronic system to manage applications, and a points-based system to accept applications, allowing applications to be processed in a matter of months. An applicant creates an Express Entry profile and is assigned a Comprehensive Ranking System score (CRS). Every two weeks, an Express Entry draw is held, giving a number of people with the highest CRS scores an Invitation to Apply (ITA). The number of ITAs has increased from 31,000 in 2015 to 86,000 in 2017, and that number will most likely be topped in 2018. It should be noted that an ITA is issued to the principal applicant, but also applies to their spouse and dependent children. Today, Express Entry is an incredibly effective system. The process was a bit slower in its first two years of operation due to the previous backlog, but in recent years 80% of the applications are processed within 4-6 months. For those who want to learn more about Express Entry immigration to Canada, Racer Immigration is ready to help. Call (778) 688-4848 to learn more. As a Canadian immigration firm in Vancouver, it’s no secret that foreign workers fill many important gaps when it comes to shortages in Canada’s labour and skills market. The length of stay often varies according to the job contract, but a number of workers do seek opportunities to extend their stay and immigrate to Canada as Permanent Residents. For those who are interested, Racer Immigration found a 2018 study by Statistics Canada that examines the time that temporary foreign workers tend to remain in the country as well as their transition to permanent resident status. According to the study, the number of temporary workers rose in Canada from 52,000 to 310,000 between 1996 and 2015. This includes people coming to Canada through various programs, such as the Temporary Foreign Worker Program or International Mobility Program. The study analyzed temporary foreign workers between the ages of 18 and 64 at the time of their arrival and received their work permit between 1990 and 2009. These individuals were followed for between 5 and 15 years after their admission. It was found that almost 90% of temporary foreign workers who were still in Canada after 10 years had managed to obtain permanent resident status. For those seeking permanent residence in Canada, foreign workers’ programs can be a good start. Racer Immigration provides expert consulting and advice for people around the world. Contact (778) 688-4848 to learn more.